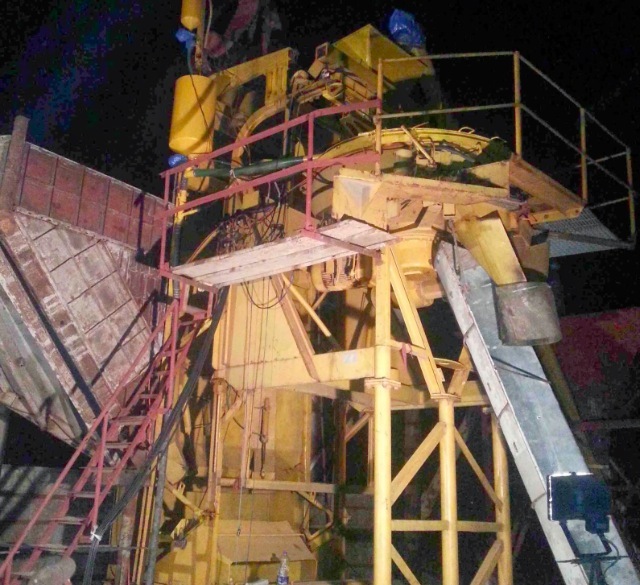 Our company here in Bangladesh owns a quite old concrete batch plant, which had full manual control requiring an operator to control 14+ switched and observe 3 mechanical scales (dial gauges). 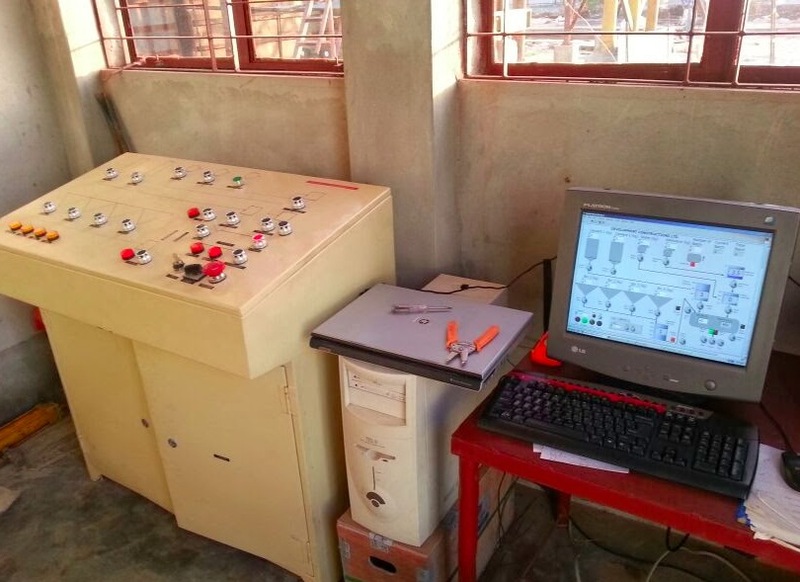 I was successful to upgrade this plant to an automated unit requiring minimal operator input using custom made Arduino Uno compatible board and LIFA. Wiring is still messy which I shall take care in the near future. My gratitude goes to my lovely wife for keeping me sane and my brother for arranging for ICs not available locally. My sincerest thanks goes to the Arduino community for helping me to remedy EMI problem and LIFA community for I2C communication troubleshooting. I must thank the developers of Arduino/LIFA/Fritzing for making electronics more accessible to the general masses. My electronics and Arduino knowledge was gathered from websites as tronixstuff.com / jeremyblum.com / arduino.cc, so thanks to excellent contributors of these sites. I had support personnel (a very patient electrician and a plant operator) here who helped me with wiring high voltage lines, and plant operational knowledge; thus, they also deserve thanks. It’s cool to see how open source creates collaborations among people all over the world! This is great news for Arduino enthusiast all over the globe. Industrial Shield provide a low cost solution to interface Arduino solution in industrial applications. I have worked in the Electronics industry for over 26 years and this make me proud to see a lower cost effective solution to upgrade older plants. I reside in South Africa and our economy is tight currently. This is a viable solution for lots of older and smaller plants in SA.